The Irish video producer Agtel is merging with TV production company Independent Pictures, to form Indiepics, combining broadcast production, short form video, digital strategy, digital services and creative into one business offering. Agtel was founded in 1979 and is perhaps best known for ‘Ear to the Ground’, recently finished its 25th season. Agtel was among the first companies to make TV independently for RTE in 1993. Independent Pictures emerged from the Agtel fold and has grown into one of Ireland’s busiest TV production companies, where Agtel has now become its digital and video division under the new group brand of indiepics. Recent TV work by Indiepics includes Trauma, This Crowded House, You Should Really see a Doctor, A Week Inside Ireland’s Property Crisis, Keeping Ireland Alive – The Health Service In A Day, Big Week on the Farm, Doctor In The House and Then Comes Marriage, among other popular TV content. Indiepics has also completed significant projects abroad including video and digital content across European markets. The company has an extensive list of clients for its digital and video production services in Ireland and Europe. 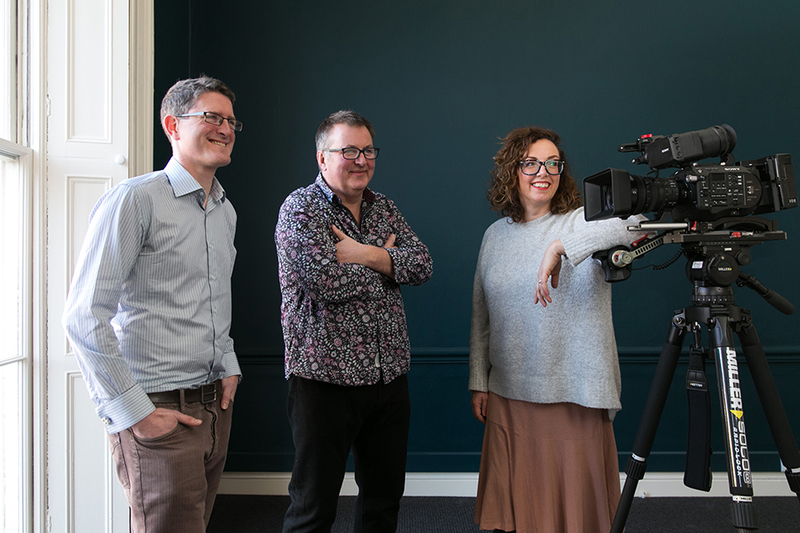 Indiepics’ leadership team of Conor Moloney, Managing Director and Diarmaid Mac Mathúna, Director of Agency, have spearheaded the new development, augmenting their 20 strong team with the addition of Orla Doherty as Head of Creative. Doherty formerly worked with DDFH&B and prior to that, Rothco and Chemistry, where she held senior creative positions. She will work alongside indiepics’ Head of Digital, Sarah Sheeran as the company supports existing clients and targets new business in the converging digital and video markets.